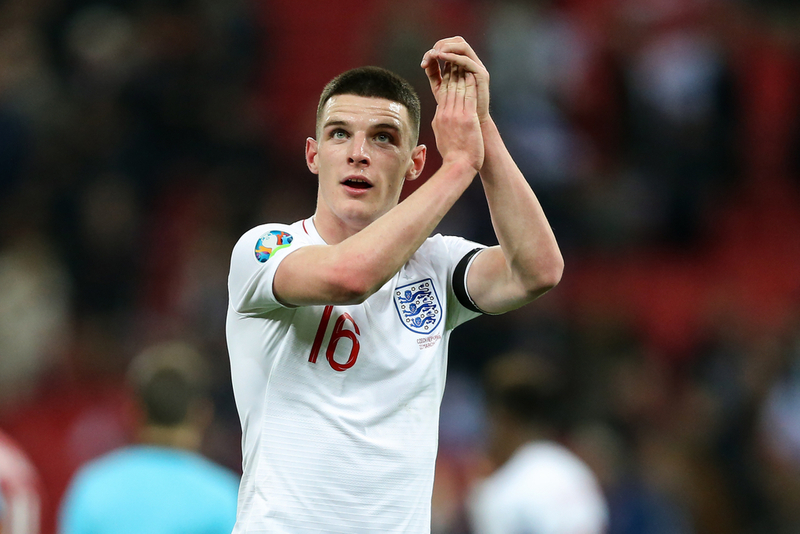 It's been a memorable season for Declan Rice, which has peaked this week after picking up his first couple of caps for England. The 20 year-old came off the bench against the Czech Republic before making his first start in the Three Lions' dominant 5-1 victory over Montenegro on Monday night. After much hype and build up, Rice put in a couple of solid performances which would've delighted Gareth Southgate and all the England fans watching. But despite all the positivity surrounding him, there has been some criticism after he switched his allegiance from the Republic of Ireland to play for what is his homeland. Irish supporters aren't happy that they've lost one of their greatest prospects, he represented them from U16 level through to the senior team and was held in very high regard so it's a huge blow. And the disappointment and more so anger doesn't start and end there, with controversial winger James McClean letting his thoughts known on the matter after the Republic's 1-0 win over Georgia on Tuesday night. The Stoke City forward is never far from the headlines and he's made plenty of them this morning after telling any other Irish player who's considering to follow suit by switching their allegiance to "sod off and play for someone else", when speaking to Irish broadcaster RTE. Rice may have made three senior appearances for the Republic of Ireland but he's actually born in London, so the criticism from McClean does seem to be slightly unjustified. But what has really got people talking on this issue is in fact that McClean has done something very similar in playing for the Republic of Ireland despite speaking out on Rice. The 29 year-old was born in Derry, Northern Ireland and went onto make 7 appearances for the under-21s which don't give his comments on the England man too much substance. He chose to turn down the Northern Irish national team for the Republic where he's gone on to pick up 60 caps, but he's still gone on to launch this astonishing attack on his former teammate. “He said he was a proud Irishman. Then he said he was a proud Englishman. If he’s both… good luck to him but I don’t buy it. I think you’re either one or the other." McClean evidently isn't happy with the Republic losing a key man and he's put in a stark warning for any other Irish prospects with dual-nationality looking to potentially move on and represent England or another country. McClean has caused controversy in the past for another of comments in the past regarding the wearing of poppies which has made him a target for opposition fans when playing for Stoke City. And whilst his views on Rice aren't in the same bracket, it's safe to say that his relationship with England supporters won't be healthy anytime soon.